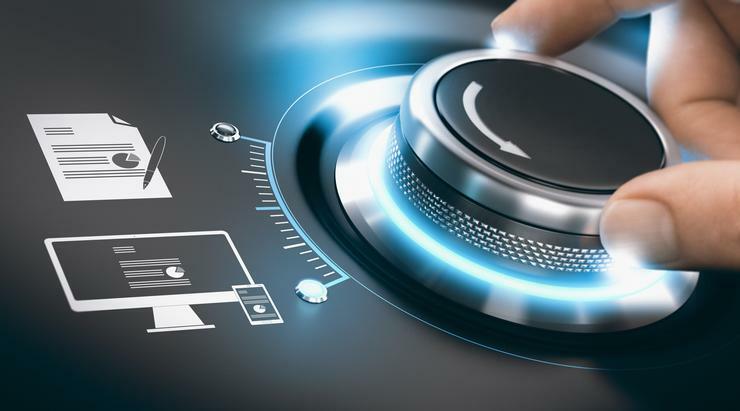 Manufacturers who invest in innovation e a new product, a new service, new data systems or technology, or a change in the way they run their business - can have significant productivity gains over those that don’t, according to new research by ANZ. The research, entitled Innovation and Productivity, assessed 49 manufacturers that had received government co-funding grants for R&D activities through Callaghan Innovation. They were benchmarked against 504 other businesses operating in the same sectors. The 49 firms generated a median Return on Invested Capital (ROIC) over four years of 14.1 per cent, compared to 10.9 per cent for the control group of 504 businesses, ANZ reports. They also grew sales revenue faster, achieving a median result of +9.3 per cent per annum relative to the control group at +6.4 per cent. “The research shows that companies who decide to invest in innovation can be rewarded by gains in productivity,” says Penny Ford, ANZ commercial and agri general manager. “New Zealand’s competitors are embracing change and investing in innovation. So it is important we also think differently about how we drive our future growth. “A key driver to lift productivity is to embrace technological change and invest in processes, R&D and technologies,” says Ford. The ANZ report says central to all transformation strategy is the use of data and technology to drive better decisions. However, despite recognising the benefits many companies are still dismissive, tentative or overwhelmed about where to start, it points out. ANZ cites the results of a recent survey of over 1000 small and medium-sized businesses in Australia. The results showed that companies who use digital tools and data were saving around 10 hours per week and generated 27 per cent more revenue per year by using social media and websites to reach more customers in new markets. A business’ mindset is key to realising value from its digital strategy, the report states. These mindsets are broken into four categories, providing a template to assess where a business might be on its digital journey. 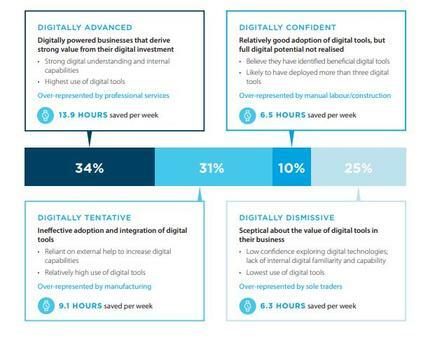 SMB digital mindset results - which one is your business? Ford says innovation can seem risky, but it “It doesn’t have to be done in one big leap”. Where customers and businesses do best is when they start implementing innovation in “small bites”, she says. She says traditional industry can think differently this way. The ANZ report cites the case of Civic Contractors, a Kiwi business that is trialling sensors in bins, public facilities and drains to understand its usage of assets. “We have made a significant investment in technology and data. It has completely changed the way we run our business,” says its managing director Bjorn Revfeim. “The sensors let us know when the bins need emptying. Using data from the bins means that a 165-kilometre round trip that used to happen six days a week, can now be done just two days a week,” says Revfeim. ANZ says it hopes the report will challenge Kiwi businesses to step outside their comfort zone, embrace design thinking and evolve existing processes. “If we don’t act New Zealand risks sliding further down the global productivity rankings. 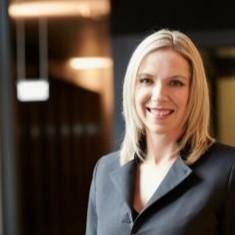 Moreover, New Zealand businesses will find it harder to compete,” says Penny Ford.